This is the Imperial Templar build from Deltia's Gaming. As a Archer, the Templar can deal high DPS. With costing Stamina, he has good AOE in the 1.5 patch of The Elder Scrolls Online. Mundus Stone: The Shadow-- To increase critical strike damage. The Templar is equipped with Medium Armors. Valkyn Skoria’s Hat sets (2 items)-- to add 4% chance when damageing an enemy with a damage over time effect to call meter dealing 720 Flame Damage to target and 360 flame damage to other nearby enemies. 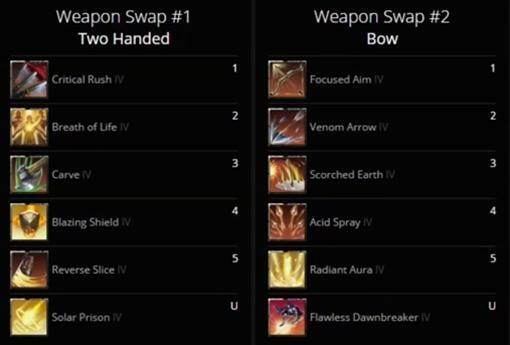 Hunding’s Rage sets (5 items)- To increase weapon power by 24. Jewels: Part of The poisonous Serpen set-- To reduce potion time. 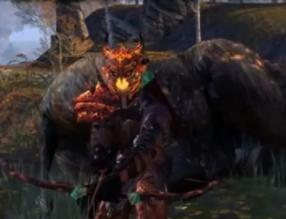 The Templar uses a two-handed sword and a bow. Weapon2: Focused Aim, Venom Arrow, Scorched Earth, Acid Spray, Radiant Aura and Flawless Dawnbreaker. Using the two-handed sword, you first cast Critical Rush Cast Blazing Shield and then Blazing Shield. When the Stamina is low, you can release Carve. With a bow, Templar can cast Focused Aim to increase the bow damage. 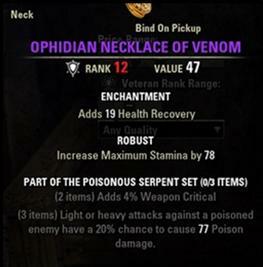 Then Venom Arrow can deal poison damage. When Stamina is lower 80%, Acid Spray can restore Stamina.